My guest on this week’s episode of The Doctor’s Farmacy is a mentor, a friend, and a truly gifted physician. 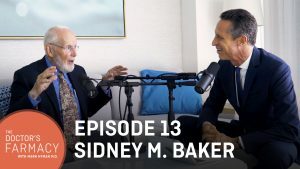 As a young doctor, I called Dr. Sidney Baker after one of his profound lectures and asked if I could sit at his feet and gain from his infinite wisdom, to which he agreed. That day, I watched as patient after patient would come into his office, and Dr. Baker would listen with such sincere attention and focus, showing me that the best doctor in the room is actually the patient. It is the physician’s job to listen and treat the patient as an individual, not as a set of symptoms. 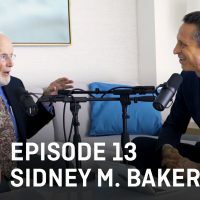 Dr. Baker is truly a pioneer in the systems-based approach to treatment, and I am so honored to have him on this week’s episode. Dr. Sidney Baker graduated from Yale Medical and is a former Assistant Professor of Medical Computer Sciences. He is a Peace Corps volunteer, a family practitioner, and founder of Defeat Autism Now! 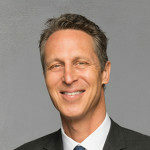 Additionally, he is a Linus Pauling Award recipient, and associate editor of Integrative Medicine. His book Detoxification and Healing is probably one of the first books in the space of Functional Medicine, and it truly changed my life and career. You might know Dr. Baker from his groundbreaking work in the field of autism. Dr. Baker was one of the first people to shift the focus from autism being a genetic brain disorder to seeing it as a systemic body disorder that affects the brain. In this episode, Dr. Baker discusses how every child with autism has unique genetics, causes, or triggers, and how it is not usually one thing, but a collection of insults which leads to the condition. We also discuss the importance of magnesium, a key mineral that many people are deficient in. Dr. Baker and I both share stories of the powerful effects of magnesium as an antidote to stress and much, much more. Finally, we tackle the topic of yeast and gut dysbiosis, a problem for many patients. Dr. Baker shares his favorite ways to treat yeast overgrowth and restore the gut. If you noticed the title, you might have guessed that restoration in Dr. Baker’s practice sometimes involve worms! Yes, you read that right, worms! You’ll hear more about this approach in our fascinating conversation. It was truly a delight and an honor to have one of my greatest mentors on the podcast. His dedication to the patient over the diagnosis has paved the way for so many practitioners, including myself. You really won’t want to miss this episode! Listen on Apple Podcasts, Google Play, and anywhere else you access podcasts. Or, watch us in action right here on YouTube.